On An Overgrown Path: Who needs a conductor? 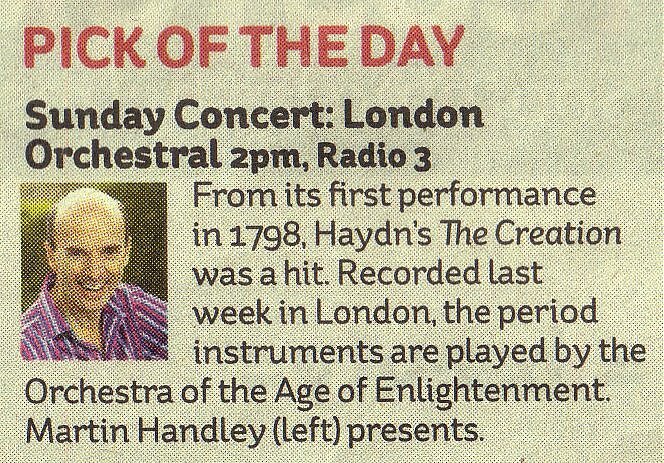 Not the Orchestra of the Age of Enlightenment according to that listing in the Independent's i edition. 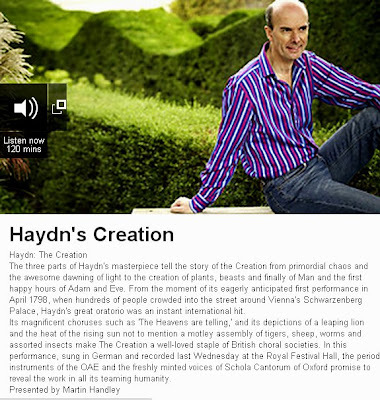 And if you think the omission of a conductor credit is down to a sub-editor take a look at the BBC Radio 3 website listing below. This presumably originated from the same misguided BBC marketing department which still believes that minor media celebrities wearing candy striped shirts attract new audiences. Presenter Martin Handley not only receives the fashion shoot photo treatment but he is also billed above the musicians, while conductor Adam Fischer is literally bottom of the pile. 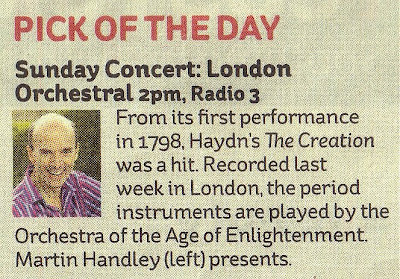 Principal artist at the Orchestra of the Age of Enlightenment is a certain Simon Rattle and I have been wondering for a long time if classical music is asking the right questions. Instead of debating who will conduct the Berlin Philharmonic in 2018, shouldn't we be speculating on which BBC Radio 3 presenter will front the new maestro's broadcast concerts and what they will be wearing?